It’s spring! & in spring like fashion the weather is being volatile. 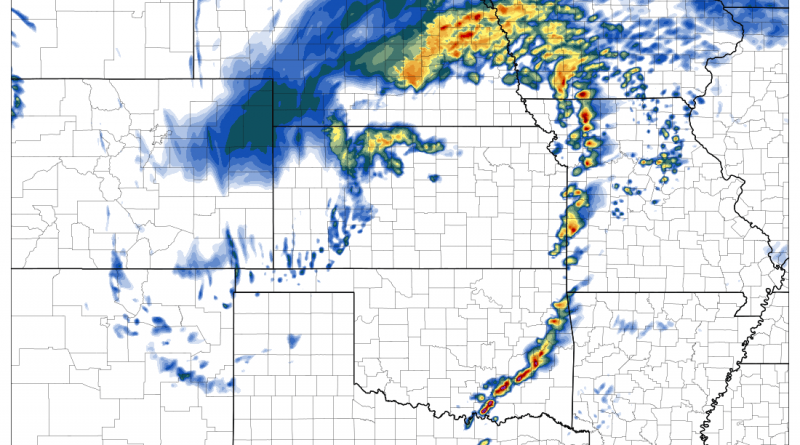 Heavy snow for parts of the Colorado Front Range (18+ inches from where I’m currently writing this post) and severe weather for parts of extreme southeastern Nebraska, Southwestern Iowa, Northwestern Missouri and Northeast Kansas as well as eastern Oklahoma, western Arkansas, Southwestern Missouri and Northeast Texas (including parts of Dallas, Fort Worth). 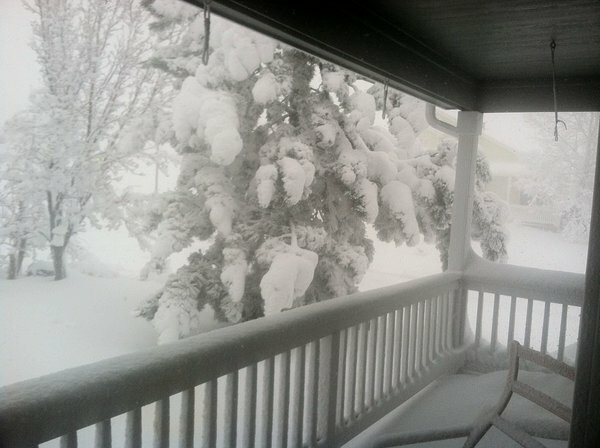 Here’s a look at the heavy snow from the northern suburbs of Denver, CO. While Denver is digging out of today’s snowstorm, a severe weather setup is shaping up in the warm sector. 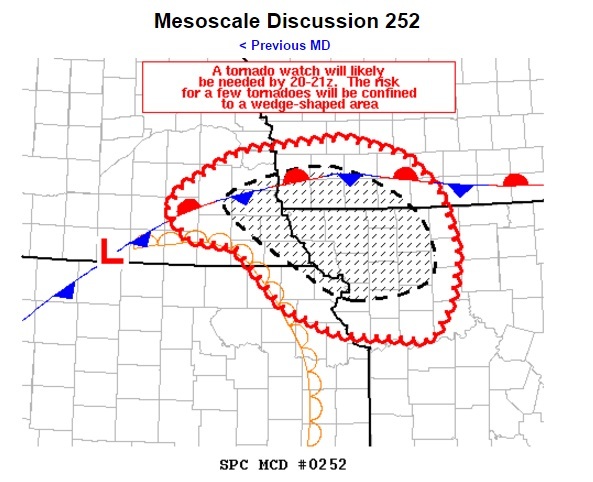 Just a bit ago, a Mesoscale Discussion was issued by the SPC. Isolated Damaging Wind Gusts to 70 mph possible. The Warm Front is already well defined on visible satellite. 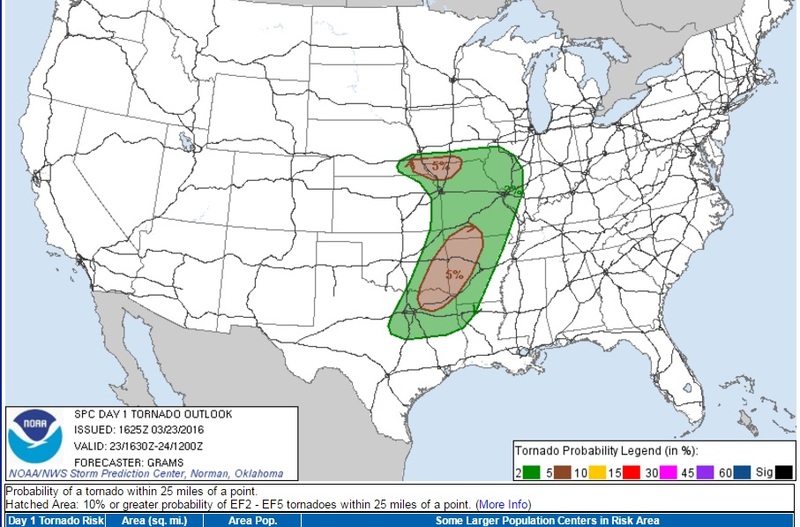 Any storm that can “latch on” to the warm front has a greater tornado risk today as the warm front acts to increase the storm relative helicity (surface winds are more backed along the warmfront). 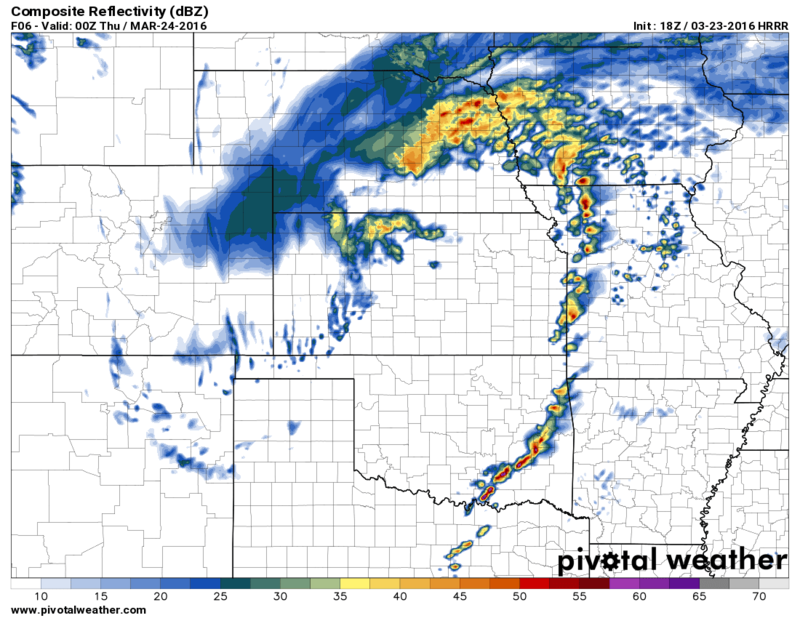 Storm Relative Helicity – is essentially a measurement of the rotational potential for a storm’s updraft. 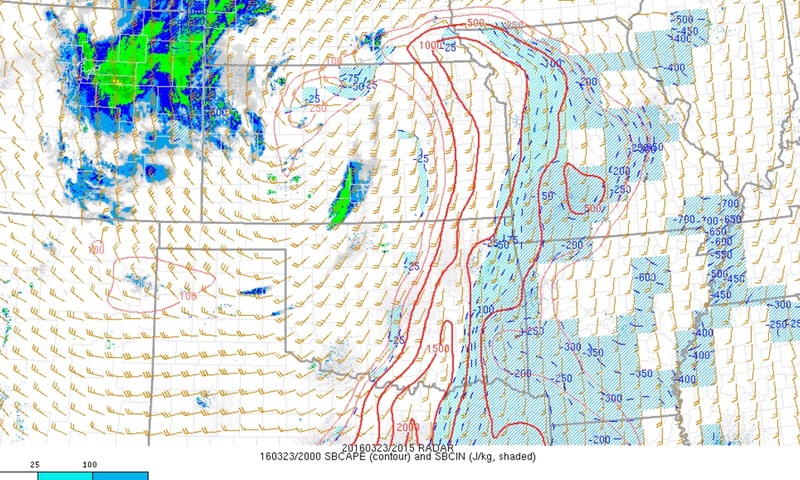 There is also ample CAPE for storms to work with today. 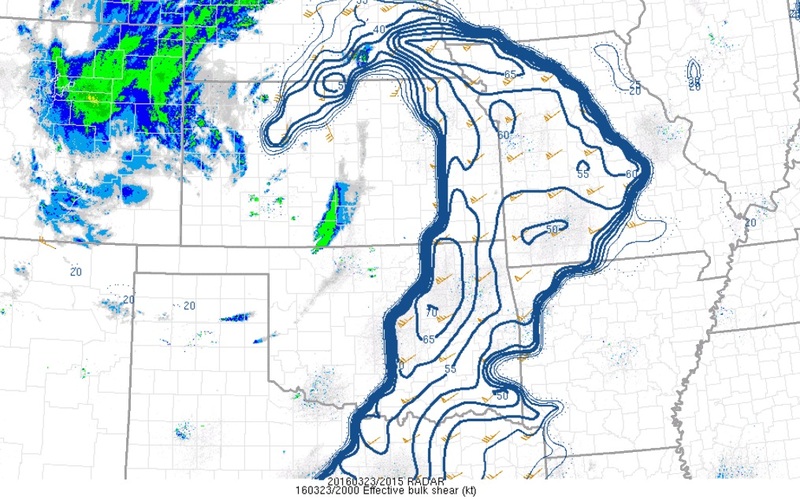 [CAPE- Convective Available Potential Energy- is a measure of atmospheric instability, essentially how much energy an updraft has to work with.] Mesoanlaysis is analyzing over 1000 j/kg of surface based CAPE today. 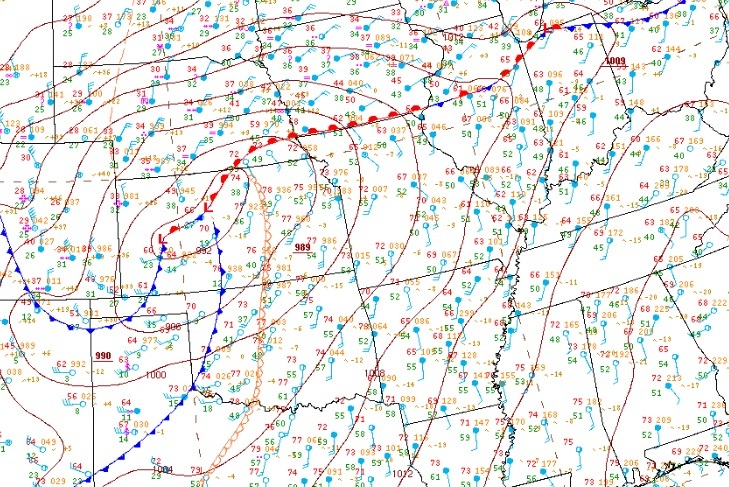 Here’s a recent surface analysis chart from the WPC (Weather Prediction Center) showing the surface low pressure system and dryline progressing eastward in Kansas. 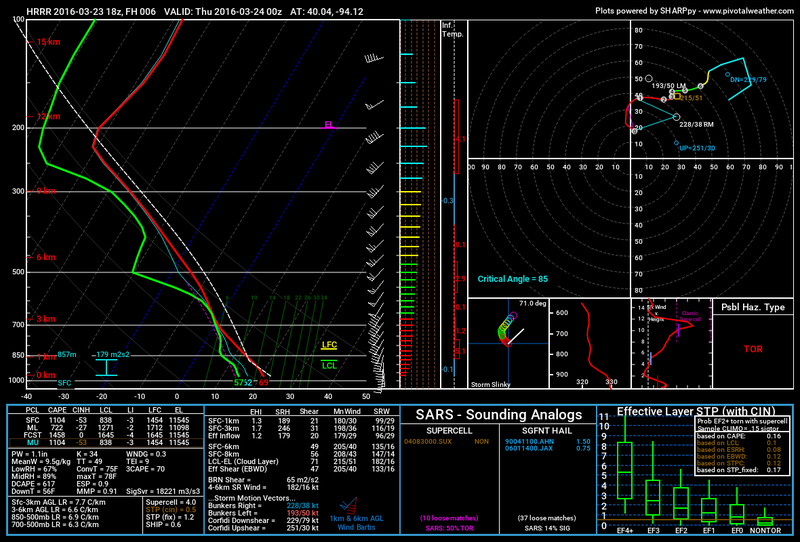 Forecast soundings for near St. Joseph, MO today are indicative of potential tornadoes. For a comprehensive list of severe weather analysis tools and weather links, check out our Weather Link’s Page. 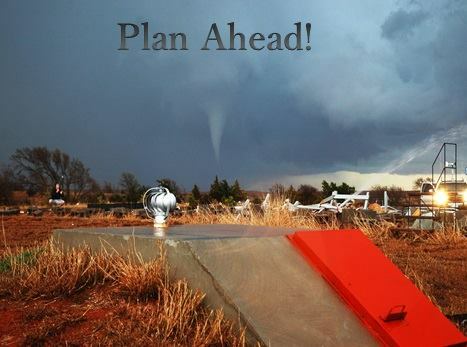 If you haven’t already, make sure you have your tornado sheltering plan in place! 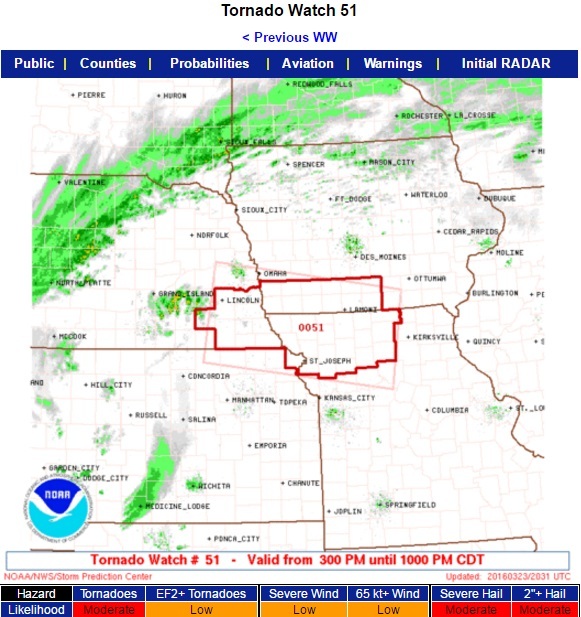 Charge your batteries on your NOAA weather radios and stay tuned to local tv/ radio stations for weather alerts.